The DA marched from Manenberg Police Station to the Nyanga station calling for the army to be deployed to crime-ridden communities. 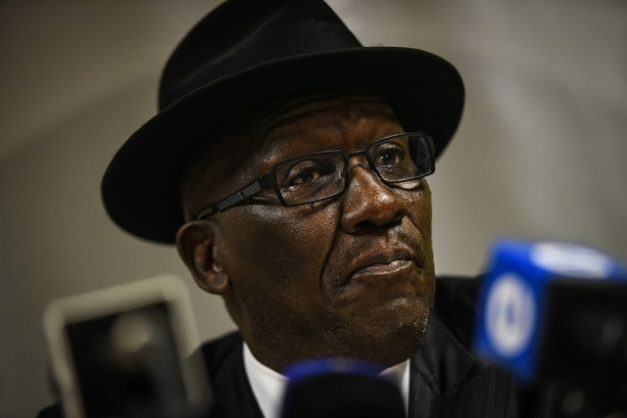 Police Minister Bheki Cele has dismissed calls to deploy the South African National Defence Force (SANDF) to crime hotspots in the Western Cape, while the Democratic Alliance (DA) marched on Thursday calling for the army’s presence in the province to assist in crime fighting. Cele said the army was not trained to deal with civilians, saying the rate of crime in the Western Cape had not reached the point that necessitated the deployment of the force to communities in the province. The DA marched from Manenberg Police Station to the Nyanga station calling for the army to be deployed to crime-ridden communities in the Western Cape. Speaking to the eNCA on the sidelines of the march, Western Cape MEC for community safety Dan Plato said Cele’s predecessors had in the past deployed the army, without any constitutional issues raised, to the Cape Flats, where its presence was a success. “His immediate predecessor, Fikile Mbalula, last year when he was the minister of police did sanction for the army to be deployed on the Cape Flats waiting for the signature of the president at the time, president [Jacob] Zuma. What’s the difference now?” Plato questioned. The MEC said what mattered most should be the public’s call for the army to be deployed to crime-ridden areas in the province over what the minister wanted because the police were currently inadequately resourced to deal with the scourge of gangsterism and shootings at the Cape Flats. Plato said once deployed, the army would cordon off certain areas, make communities safer and would afford the SAPS the time to conduct their investigative work and conduct raids and random stops and searches. “We fully understand the army is trained to shoot, but at the end of the day, looking at what is happening in the westernised world, in other countries, France, Britain, Belguim, and so forth, the army is currently successfully deployed in those countries to assist the police,” the MEC said. Plato added that, according to research conducted by the standing committee on community safety in the province, 85% of police stations in the Western Cape were grossly under-resourced. “We just do not have enough manpower on the Cape Flats to contain the situation. Our people are under siege. Our people are traumatised,” he said.